The Township Clerk and Registrar’s Office is responsible for some of the most traditional and important functions of the municipal government. The Clerk serves as the Custodian of the Township Seal and is responsible for the maintenance of all records, books, deeds, bonds, contracts and archival records of the municipality. Please visit the Ocean County Clerk’s Website for election service information including voter registration, voting by mail and other information. Application must be completed, along with Valid Identification and Proof of Relationship. All dogs and cats, 7 months or older, in the Township of Brick, must be licensed during the month of January. A certificate of Rabies vaccination must be presented. Also, if your dog and/or cat has been spayed or neutered, you must present a statement from the veterinarian. If your dog or cat has not been altered there will be an additional $3.00 charge imposed by for population control by the State of New Jersey. Licenses may be obtained either by mail or at the Municipal Building, 401 Chambers Bridge Road, Monday through Friday from 9am to 4pm. The clerk’s office accepts credit card (no Amex), cash or check payable to the “Township of Brick”, please. If requesting by mail, please enclose a stamped, self-addressed envelope. Late Fee – There is an administrative charge of $1.00 per month for any dog or cat registered after January 31st of each year. 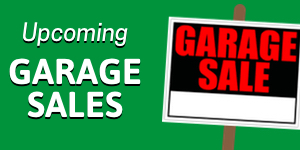 Garage sales permits can be obtained in person at the Clerk’s Office. Permits are for 3 consecutive days and are $5. Citizens are allowed up to 4 garage sale permits per year. Marriage licenses must be obtained in the municipality that either partner legally reside. 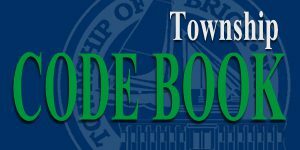 Brick Township residents can apply by appointment only. Appointments are available Monday through Friday, 9am-11am or 2pm-3pm. Call 732-262-1001 to schedule an appointment. Click HERE to view marriage license requirements. It is recommended that you make an appointment at least two weeks prior to the ceremony. There is a 72-hour waiting period from the time of application until you can use the marriage license.